"Liquor in the Front. 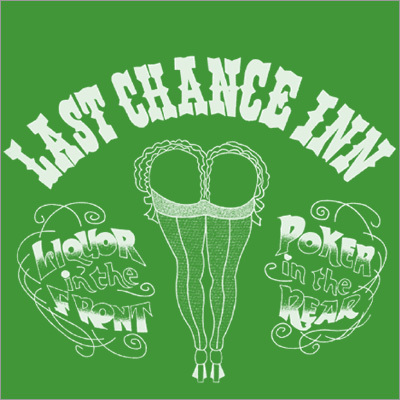 Poker in the Rear." 100% fine cotton jersey t-shirt with screen printed graphic. Available in small, medium, large, x-large, and 2-x; black/white, white/red/black, kelly green/white, navy/gold.